.......... Inspired by my mom and grandma and Dedicated to my dad. I took a short break from blogging and i had so many awards waiting for me when i came back. It's really really nice of each one of you to think of me. Thank you so much. I feel very appreciated and that makes me feel sooo sooo happy! Vidhya, Uma, and Lubna gave me the Hard Working blogger : I would like to pass this to Sangeeth, Shama, Vij, Viki, Suma Rajesh, Sagari, Jaishree, n33ma , Gita and to all my blogger friends. Lubna and Ramya gave me the Yum Yum Blog award. Now, they both have yum yum blogs and getting this from them makes me feel very honored. I give this award to those who gave it to me and also to Aparna, Mahimaa, Vij, Shama, EC, Curry leaf, Malar and Nidhi. 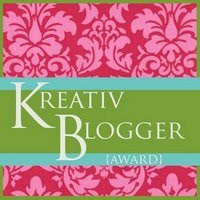 There is a meme that goes with the Kreative blogger award. Will post the meme later. Along with these, Viki gave me the Inspiration Award, Lubna gave me the chocoholic bear again and Vij and Lubna gave me the cool blog award again. I have already passed it to some of my blogger friends. But, i still want to thank them for thinking of me and sharing these awards with me. It's a great pleasure to get these awards from my friends who are an inspiration to me in different ways. Thanks so much dear! and congrats! Thanks so much Vibaas! Congrats on all of yours. That is a new profile pic, isn't it? Cute! wow, it's definitely raining awards here. Congrats and thank you for passing to me too! Thank u for passing one of them to me. thanks dear for the award! so nice of you.. ur profile pic is nice. Hey - I came by to tell you, that I've got awards for you. You already have most of them! Its raining awards for you ...do drop by and pick them up. Thx curry leaf, vidhya and dibs. Dibs, thanks so much for thinking of me. Means a lot. Nice to meet u thr this blog world. hi vibaas profile pic is nice.now while reading your posts i can visuallise ur face.congrats on ur awards.waiting for ur new recipes. Thanks again for your encouragement, friends. Indranee and Raji, thanks for your lovely comment. Shama, thanks so much for passing me the lovely awards. I am once again honored. Tis award flow here vidya and congrats. Thanks u so much on thinking me for these. Hope u had a nice wk end and enjoyed yr 10 th anniversary with yr fmly. My belated wishes to u.
I already passed a comnt on 16th but i was not sure an err came that day and not found in yr previous post too. so i m wishing u again. thanks for the lovly award dear..
congrats on ur awards... and thx for passing to me yaar.. Thank you!...congrats on all your awards! Congrats with all the wonderful aawards. thanks a bunch for sharing it with me! 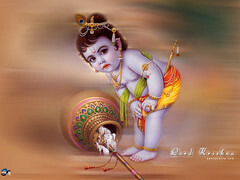 Indrani, i feel very honored. Thanks dear! Congratulations on all those awards. Thank you for passing it to me too. Am honoured. Mom of 2 Princes who keep me on my toes :) Vibaas-world, my food blog has quick fix vegetarian recipes, which are mostly healthy and kids approved. Hope you like it! :) And the other blog talks about the two princes! Hi after a long time.